Special Report Northern Winds in Angola? In a new exclusive report, Ceasefire's Angola correspondent, Jon Schubert, provides an overview of the events, and the wider context, that have marked the recent upheavals in the country. On Saturday 3 September, a few hundred protesters gathered in Independence Square in Angola’s capital Luanda to demonstrate against poverty and the 32-year rule of President José Eduardo dos Santos. Under the watchful eyes of the Rapid Intervention Police, the protesters decided to walk downtown towards the National Assembly and the presidential palace, to continue their demonstration there. They had advanced less than a kilometre when unknown men in civilian clothing started to provoke the police by shouting abuse and throwing stones at passers-by and cars. The police intervened quickly, and started to beat up the demonstrators. Observing journalists were also aggressed and taken into custody, and a reporter of Deutsche Welle was shaken down by plainclothes security agents who confiscated his mobile phones, camera, and recorder. Fifty demonstrators were arrested and taken away to unknown destinations. 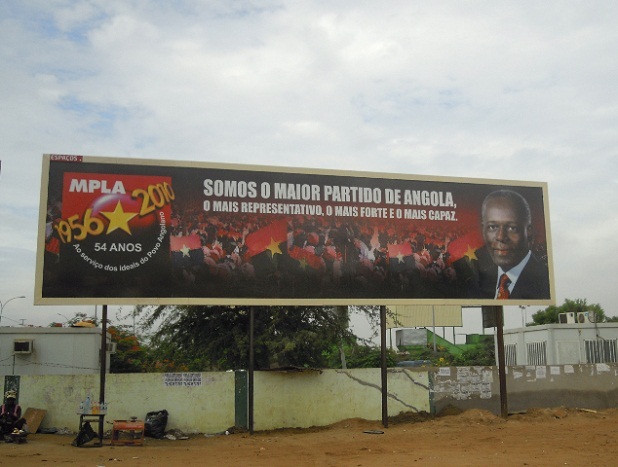 In the European press, Angola is mostly known as an economic miracle. After almost 30 years of civil war, the country is in its ninth year of peace, and the government-led, oil-fuelled reconstruction drive has attracted keen investors from all over the world. And indeed, the signs couldn’t look more promising, at first view: new skyscrapers are transforming the city centre of the capital, Luanda at record pace. A network of new roads and airports, as well as the rehabilitation of the colonial railway lines, make domestic traffic and commerce easier every day. However, there is a flip-side to this boom, which is willingly overlooked – especially by those countries keen on benefiting from the supercharged Angolan economy to prop up their own, crisis-hit economies: in the first place former colonial power Portugal and Lusophone partner Brazil, but also the US, Norway, the Netherlands, the UK and, of course, China and South Africa to name but a few. The economic upturn under the ‘wise and enlightened’ leadership of ‘the President of the Republic, the Engineer José Eduardo dos Santos’, has only benefited a small elite, while a majority of the population has seen little improvements of their daily life since the end of the war in 2002. Yes, it is true, the general security situation has improved and the flow of money has opened opportunities for those who are quick and well-connected enough to seize them, but the frustration of the general population has been steadily rising. President dos Santos, the leader of the ruling MPLA (Popular Movement for the Liberation of Angola) has come to represent all that is not well with Angola. During his rule he has skilfully managed to defeat his military adversaries and played off internal rivals. He transformed a formerly communist vanguard party into a tight-knit network of corruption and patronage, accumulating fabulous riches for himself, his family, and a close clan of faithful supporters. The media and the army are in his pocket, and a climate of self-censorship dominates political debates – including the opposition. One cannot help but see striking parallels between the situation in Angola and the countries transformed through the Arab revolutions of 2011. These parallels have not gone unnoticed here. The Angolan youth are highly motivated to work and study, but find neither jobs nor study places. The few existing places at public institutions are reserved for those who are connected or able to pay a kickback of 2,500 dollars to someone on the admissions board, while the burgeoning private universities charge monthly fees of 300 dollars or more. However, since many Angolans have travelled abroad, and/or have family in Europe, North America or Brazil, they are well aware of what is happening in the ‘outside world’. Inspired by the events in the North of the country, a group of young students and artists called for an ‘anti-poverty demonstration’ on 7 March 2011, the first demonstration to openly call for the end of President dos Santos’ rule. 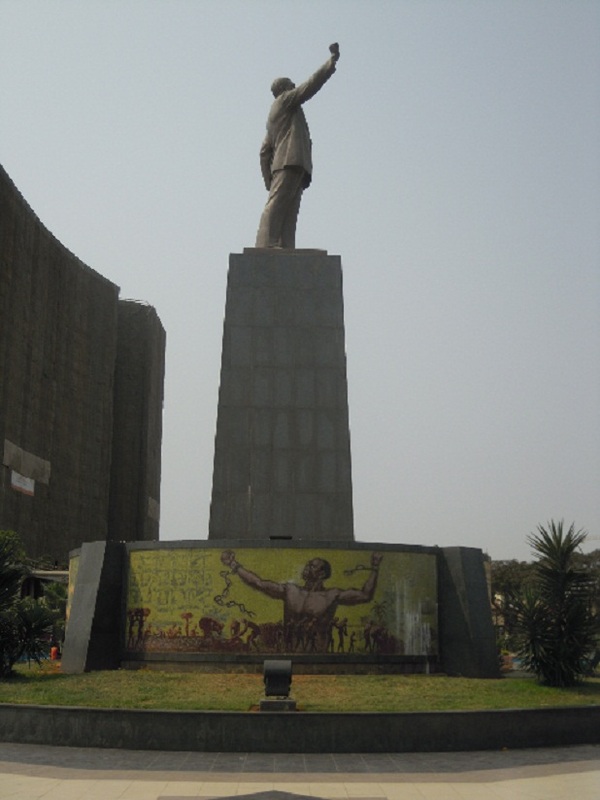 The first demonstration was no success: the fear of state repression is deep-rooted in Angola, since an alleged coup attempt – more likely a popular demonstration against the MPLA leadership – in May 1977 was met with mass purges and the disappearance of up to 30,000 people across the country. A week ahead of the planned demonstrations people started to buy water, oil, cooking gas and salt, and advised each other to stay at home on the days around the demonstration. Furthermore, the regime capitalised on these fears and used the public media to equate demonstrations with a return to civil war. The main opposition parties bought into this dominant discourse and quickly issued statements saying that they, too, were for peace and stability. On 5 March, two days before the planned demonstration, the MPLA organised a ‘non-partisan pro-peace march’ through Luanda and in major province capitals, claiming the participation of three million people as proof of how the population stands united behind the current leadership. What the official reports failed to mention, however, is that state employees and school students were obliged to participate, and that the police rounded up vendors on peripheral informal markets and bussed them to the march, where they were kitted out with white shirts and caps. The old tactic of the mass maratona – to keep the masses happy and ignorant by selling very cheap beer along the route, had seemingly prevailed again. The demonstration on 7 March, then, was an anti-climax: only around 20 people showed up at the central Independence Square. All of them, including a handful of reporters, were put into ‘preventive detention’ and released the following morning. Since then, two further demonstrations in May gathered 200-300 people each, while the police stood by. Emboldened by this relative success and the absence of violence, the ‘Revolutionary Movement for Social Intervention’ (MRIS), as the young students call themselves, called for another, larger demonstration on 3 September. This time, however, the regime decided they had had enough. Especially since the fall of Gaddafi the air is getting thin for Africa’s long-time rulers. They arrested fifty demonstrators and decided to make an example of them. Most of the demonstrators were held over the weekend, with no communication with relatives. On Monday of last week, 5 September, 21 of them were to appear in front of the Police Tribunal of Luanda for a summary judgement, while the others were released. However, the process was postponed to Thursday 8 September, on which day a number of demonstrators appeared in front of the Tribunal to protest, demanding the release of the accused. The police – the rapid intervention and canine brigades, deployed en masse downtown – drove the demonstrators away, as they were ‘blocking the traffic’. The demonstrators then walked down to the Marginal, the main road that lines the Bay of Luanda and proceeded towards the US embassy, with the aim of handing in a letter of protest there. Before they came anywhere near the embassy, however, they were taken away by the police. The judicial process, meanwhile, was adjourned to the following day, when witnesses were heard. On Monday, 12 September, 17 of the accused were sentenced to prison from 45 days to three months. These events show the government is using all state resources to stifle any expression of dissent: the police stated that the demonstrators had started the violence and disorder. Furthermore, they claimed that they had arrested the second group of demonstrators en route to the US embassy because of the anniversary of 9/11, as there had been terror warnings, an argument whose absurdity can maybe only be fathomed in the only African country that has not recognised Islam as a religion. The judiciary demonstrated its subordination to the executive – the judge, Simão Bento, still studying for his law degree at university, has refused to admit several videos which would have contradicted the police statements. State media, an ever faithful gang of flatterers, have decried international intervention and suggested that dos Santos be nominated for the Nobel Peace Prize instead. The MPLA has declared that the youths were being misled by unscrupulous adults and denounced the ‘political profiteering’ of the opposition, after the main opposition party UNITA protested against the detention of the UNITA youth leader. The demonstrations must be viewed in the larger perspective of the crucial question of dos Santos’ succession and the constitutional change of 2010. After the massive triumph of the MPLA at the 2008 legislative elections – the country’s first in 16 years – the MPLA pushed through a new constitution in January of 2010. This was conveniently during the same period the country hosted the African (football) Cup of Nations, which distracted public attention from the ‘constitutional coup’ that was being plotted. Indeed, the new constitution effectively abolished presidential elections, replacing them with the automatic nomination of the head of the electoral list of the party that wins the majority in parliament. However, in order to create a modern constitution, the legislators also enshrined the right to demonstrate – without the need for authorisation – as well as the creation of an independent electoral commission in the text. Slowly, the citizens are starting to realise that these guarantees bind the government, and to explore these new rights. A treacherous calm has come back to Luanda. The Luandan football derby, as well as the election of the Angolan Leila Lopes as Miss Universe are a welcome distraction, which the regime is exploiting to the maximum, by organising a few more festinhas, but the presence of police and presidential guards in the city centre are revealing of the nervousness of the regime. An interviewee told me that the president’s family are all holed up in the First Lady’s residence, up on Miramar, and that the Angolan presidential guards had been replaced by Cubans. The next demonstration has just been announced, for 24 September. Jon Schubert is Ceasefire‘s Angola corrsspondent. He is an anthropologist and political analyst currently living in Luanda. « Previous: On Corporate Power Who owns American universities?